Listen, we need to talk. We know it's not an easy subject but, TBH, your nail biting habit needs to stop. 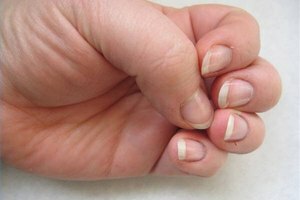 It's possible that this habit started in childhood and continued on into adulthood without causing long-term nail damage. But, if you've experienced any soreness or bleeding from nail and cuticle damage, it's time to take a closer look at why your biting habits have returned full force. Here are five nail biting habit busters to try. Biting your nails, which includes damaging your cuticles, is a habit that can make your nails look short and weak. But the result doesn’t stop at appearance. Nail biting damages the skin around the nail and causes infection. Chronic nail biting can “leave you vulnerable to infection as you pass harmful bacteria and viruses from your mouth to your fingers and from your nails to your face and mouth,” says board-certified dermatologist Margaret E. Parsons. Grooming is a natural nail biting solution. Keep your nails clipped and clean by maintaining them regularly. This helps discourage you from biting your nails to smooth out any of the edges, or to pick hangnails. While this solution sounds simple, a sensible place to start is to get a professional manicure. 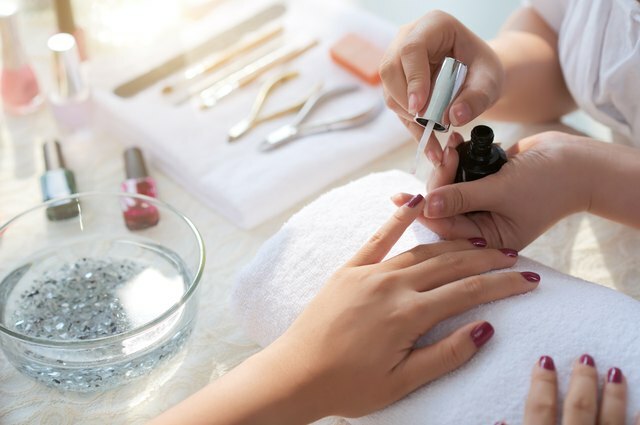 You can also ensure that your cuticles are healthy and neatly trimmed at home, but if this leads to obsessive grooming of your nails, then it’s better to get your nails done at the salon. Keeping your hands covered with gloves may not always be possible, especially when you’re at work or when you’re on the go. Wearing gloves at home, or using an adhesive bandage around each fingertip, has been shown to discourage nail biting, in some instances. However, if you can’t fit gloves or adhesive bandages into your daily routine and work environment, this may only work as a temporary solution at home. This technique is a bit more daring. Rub cayenne pepper powder (or another type of hot pepper) on your fingernails. If you’re biting your nails, your tongue and mouth will be coated in hot chili pepper. Burn! Any bitter tasting, non-toxic substance applied to your fingernails will work, though this method isn’t recommended for children, who may find it too painful or accidentally rub the pepper powder into their eyes. For your homemade anti-nail biting polish, try lemon juice, salt, or vinegar for a great substitute for cayenne pepper. According to a 2017 article in Men's Health, even if you get used to the acrid taste of your anti-nail biting polish, it's an effective deterrent. If vitamin E or castor oil taste terrible to you, try soaking your nails in them, which will deter you from putting your fingernails in your mouth. These oils also have the added benefit of keeping your nails strong, and will prevent chipping and breaking. Be careful not to apply anything to your nails that will give you an allergic reaction. Nail biting is often caused by stress and anxiety. Try taking vitamin B, in addition to a proper diet and increased exercise. Vitamin B supplements help to lower stress levels and will indirectly reduce the urge to pick or bite nails. Journaling how often and under what circumstances you bite your nails. Concentrating on the fact that you are putting germs directly into your mouth when biting your nails. Improving awareness of any fears surrounding your nail biting behavior. Resisting the pull of ingrained behavior is hard. Nail biting can have multiple root causes. According to a study published by Fred Penzel, PhD, the author of Obsessive-Compulsive Disorders: A Complete Guide To Getting Well And Staying Well, nail biting is a complex behavior with many different inputs. It can be the result of anxiety, heightened stress, boredom, or a combination of psychological factors. Tap into your emotional response with the help of a professional behavioral therapist. Being mindful of when, where, and how often you bite your nails is the first step to kicking the habit. Darley Stewart is a writer and content strategist living in NYC.